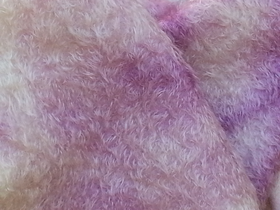 Quality 300S/CM is a 1/2", ultra-sparse density, mohair pile with a Curly Matted Finish. The Curly Matted Finish is so curly that it "matts" down to the backing. 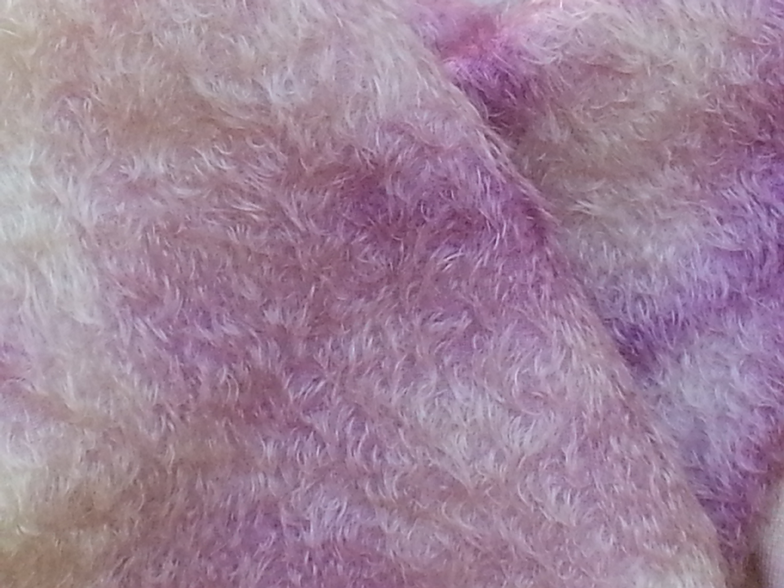 The custom hand dyed color is a Mottled White and Lilac.